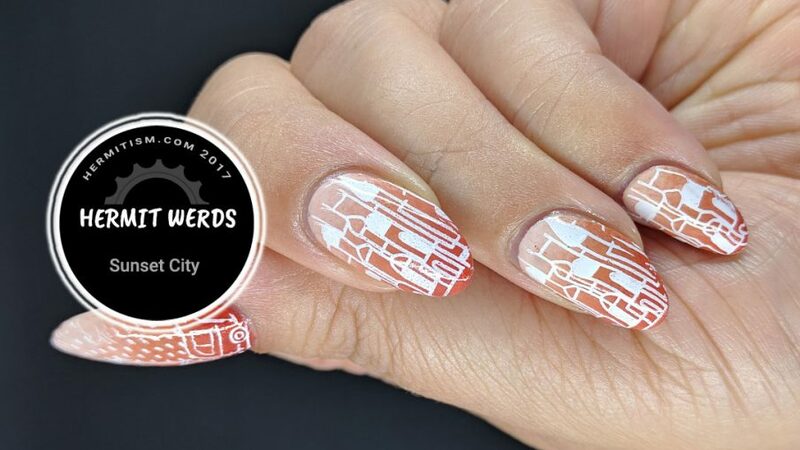 It is the last day of the #31DC2017 (Honor Nails You ❤️). I can’t believe I made it. For my inspiration, I chose a beautiful mani by @manideforfaretchipie which you can see here. Now I did not have the same stamping plate as her, not even close. So I decided to do a contrasting manicure. Since her color scheme was a kind of desaturated teal to a neutral color, I chose a desaturated red-orange to warm beige. 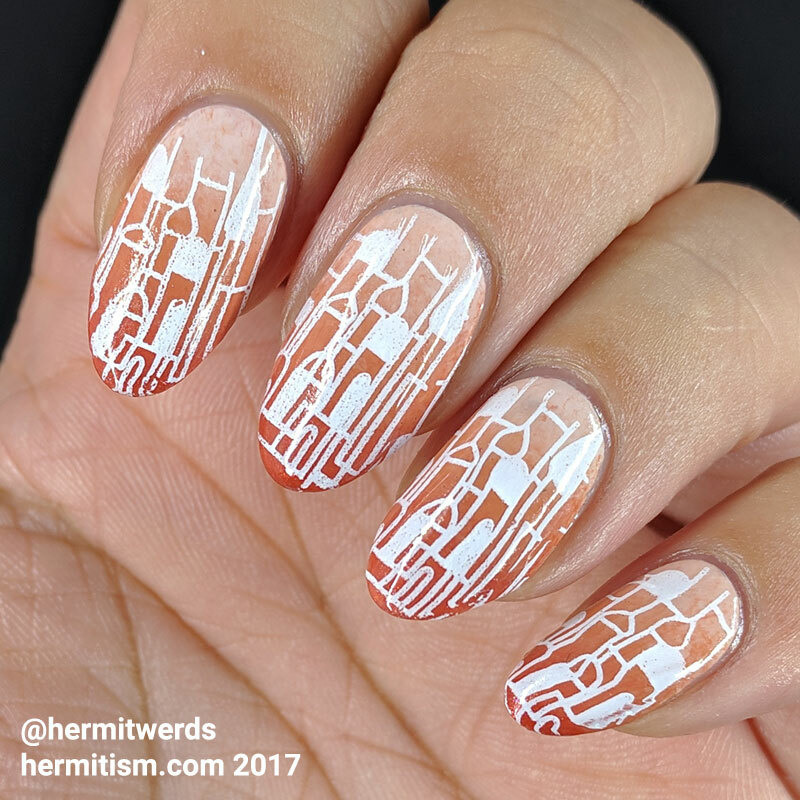 Since her manicure featured trees, I chose to stamp a city. There were problems with getting the lines very straight, but I did get one nail perfect…heh. So that’s it! Two months of posting over thirty manicures each. I am ready to take it easier…so how about Inktober?